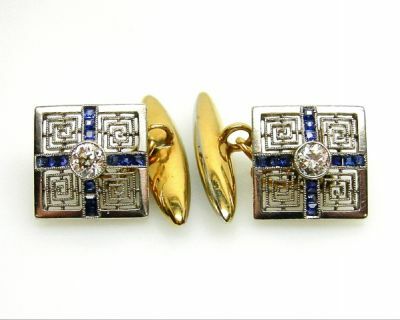 An elegant pair of Art Deco platinum and 18kt yellow gold mill grain cufflinks, with 2 bezel-set old mine cut diamonds, est. 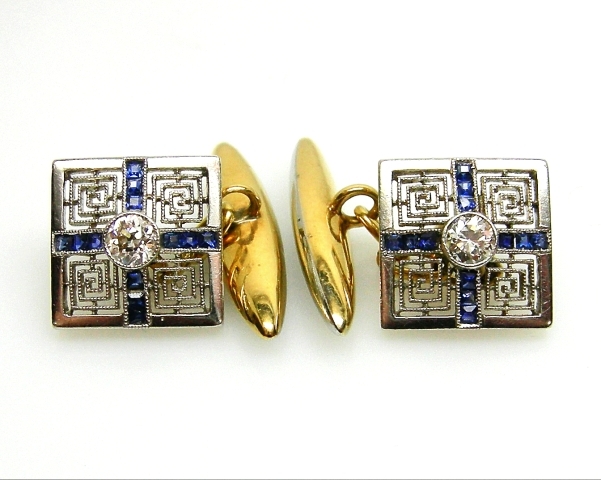 0.28ct (colour:G-H & SI2-I1 clarity) and 24 channel-set square step cut medium dark blue sapphires, est. 0.24ct.